posted by Billie Owens in news, notify, batavia, animal abuse, animal neglect, volunteers for animal, genesee county animal shelter. Above, mugshots of Brandon Joseph Welch after his arrest in October. A former Batavia resident is being held accountable starting today for the "horrific" treatment of a tortured and starving puppy after City Court Judge Robert Balbick sentenced Brandon Joseph Welch to immediately begin serving two months in Genesee County Jail, and a total of three years probation. Welch made his sixth court appearance this afternoon, flying in from his parents' house in Florida, accompanied by his mother. His attorney is Rochester-based Frank Ciardi. 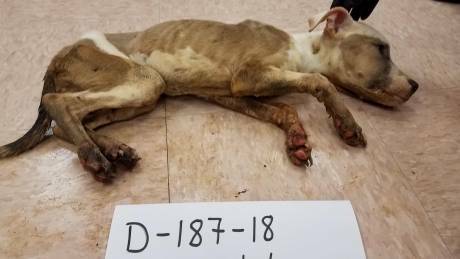 The native of Suffolk County pled guilty earlier this year on the misdemeanor charges of falsely reporting an incident in the third degree (for claiming he found the starving puppy); torturing/injuring/not feeding an animal. The charge of owning/harboring an unlicensed dog was not mentioned, so apparently it was dropped. Welch was arrested Oct. 18 after a warrant was served at his apartment at 679 E. Main St., following a tip from a witness. 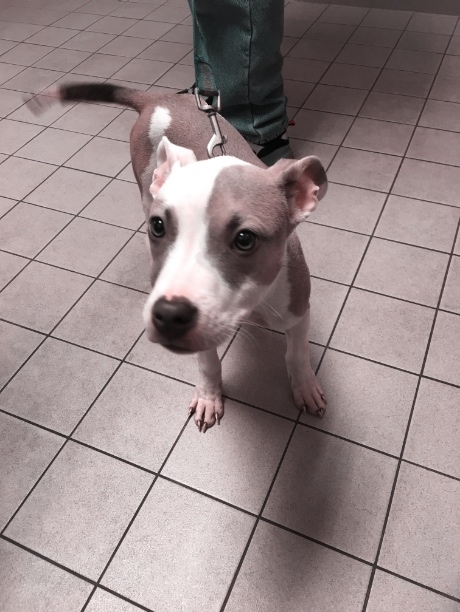 "Opal" -- so named by Volunteers For Animals at the shelter -- is a fawn and white colored pitbull mix who was a few months old and weighed only 9.2 pounds when rescued on Oct. 4 after she was found by a Good Samaritan in Stafford. The dog was not able to stand on her own and was covered in urine and feces, and was severely dehydrated and malnourished. Opal subsequently received nourishment, medical treatment, grooming and exercise while in foster care and was later adopted. A Class D felony charge of making a terroristic threat, for Welch's alleged threat to shoot the first cop who came to his residence, was dropped because the cooperation of two witnesses, who live in another part of the state, proved problematic. Today Ciardi articulated all that his client is going through to get his life together. He noted the lengthy pretrial period and that his client always showed up for court appearances. He noted that he has found suitable employment as a diesel mechanic trainee in Florida. Welch moved to the Sunshine State after initially staying with his grandparents, who live on South Fairview Avenue, in the Village of Montauk, Town of East Hampton, Suffolk County -- on the Long Island Peninsula. Ciardi said his client has availed himself of mental health treatment and is making progress all around after changing his lifestyle. "He lacked the mental health to have a life that's fulfilling," Ciardi said. The defense attorney reminded Balbick that Welch's offenses are misdemeanors. He argued against any incarceration, which Genesee County Probation recommended, and was against his client serving probation in Genesee County since he has no ties here. "Jail would serve no purpose; it would bring him back down," Ciardi said, and put the brakes on the diesel mechanic career path Welch is pursuing. The defense attorney even suggested that sentencing be postponed altogether until a course of mental health treatment was completed. He said it would be good if his client could continue his employment as a novice truck mechanic in Florida and have probation oversight transferred there. Barring that, at least have it transferred to Suffolk County -- Welch could move back to his grandparents' place or make other living arrangements there where he was born and raised and has extended family. Ciardi questioned whether Genesee County Probation actually read the two-page addendum to his client's presentencing report from Suffolk County, which recommends no incarceration and positively notes the good measures Welch is taking to get his life in order. He strongly disputed Genesee County Probation Department's assertion that Welch took no responsibility for his actions. "He took full responsibility -- for lying to police, for his poor choices, for putting his family through this," Ciardi said. "He has no prior record." Balbick outright dismissed the notion of adjourning sentencing. The judge said the allegations against Welch were serious and he agreed that some incarceration was warranted. But the game changer was Welch's decision to up and move to Florida before his case was adjudicated, essentially removing himself from Balbick's jurisdiction. This did not sit well with the judge at all even though he broke no law in doing so. The prospect of getting a probation department in Florida to make room for the oversight of a misdemeanor New York case is not a given. It would be a complicated, lengthy and uncertain landscape to navigate. By removing himself from New York State, it "exponentially complicated" his case and thereby put the terms of his probation on "shaky ground," Balbick said. "That move to Florida really put the court in a bind," Balbick said. When asked if he had anything to say on his behalf, a tearful Welch -- dressed in a long-sleeved red, white and navy plaid shirt, with navy pants and black dress shoes -- told Balbick that he's making progress in his life and that his "dream job" of becoming a diesel mechanic means everything to him. He would be devastated, he said, if he lost the opportunity he currently has in Florida. The judge called a recess in order to contact the GC Probation Department to be sure they had read the addendum in the presentencing report from Suffolk County. Welch walked from the podium that's in front of the judge to the gallery and sat next to his mother and cried and sniffled for 30 solid minutes. When the case was recalled at 3 p.m., Ciardi and Welch stood at the podium and the judge told them that GC Probation confirmed they had read the addendum but still recommended a period of incarceration and he agreed with them. Welch stood with his shoulders hunched and his arms crossed tightly across his chest. "Your move to Florida complicated this matter tremendously," Balbick told the defendant. "What you did to (that animal) was horrific. There has to be accountability for the injuries and mistreatment. That's why you find yourself here in this situation." Balbick proceeded to sentence Welch to "shock probation" of 60 days in jail starting right then and there. He said while he's incarcerated, he has no problem with getting probation transferred to Suffolk County, NY -- Florida is out of the question. Welch's probation will end on April 22, 2022. Welch, looking dejected and sniffling still, asked if he could hand his mother his wallet and mobile phone before being taken into custody. The Sheriff's deputy at hand said no and took the items from him and gave them to his mother in the gallery. Welch asked if he could step outside the courtroom and speak briefly with his mother and tell her goodbye. The judge said "if it's all right with the deputy." "No" replied the deputy, "we usually don't allow it once you're taken into custody." With that, the mother cried and mouthed "I love you" and her 23-year-old son, pouting, arms clenched across his chest, eyes downcast, was led away to jail by another deputy to begin his "shock probation." Below, photo of Opal when she was first brought to the GC Animal Shelter. Below, Opal after being nursed back to health and ready for adoption, which was successful. posted by Howard B. Owens in accident, news, pembroke, elba. A 17-year-old Elba resident and her younger brother were injured Easter Sunday after another reportedly rear-ended the car she was driving in the area of 2102 Main Road, Pembroke. Theresa M. Gioia, 60, of Auburn, was cited for allegedly following too closely. The accident sent four people to area hospitals, including Maddison T. Howard, 17, and Zachary D. Howard, 15. Maddison reportedly suffered a minor head injury and Zachary had a complaint of neck pain. Both were transported to Buffalo General Hospital. Gioia reportedly told a deputy that she "looked back for one minute" while driving 2011 Jeep before hitting a 2017 Mazda SUV driving by Maddison. 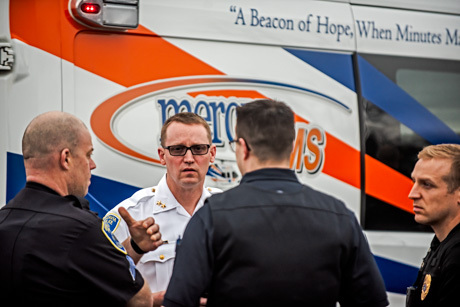 Gioia and passenger Julie Wall, 36, were taken by Mercy EMS to UMMC. Gioia reportedly suffered a broken elbow. Wall had a complaint of neck pain. Also in the car, with no reported injuries, were Jacob Kraatz, 15, and James Gioia, 64. The accident was investigated by Deputy Ryan DeLong. CORRECTION: An earlier version of this story reversed the drivers of the vehicles and incorrectly stated who was cited. The Batavian regrets the error. posted by Lisa Ace in Sponosred post, advertisement, Michael Napoleone Memorial Foundation, derby day, Gala, Batavia Downs, batavia, charity. 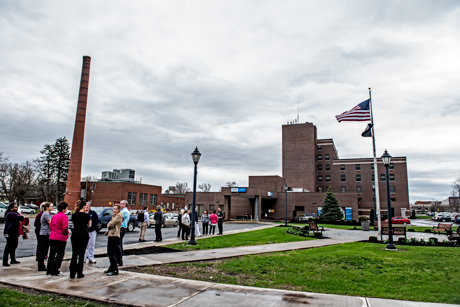 posted by Billie Owens in terrorism, bomb threat, news, notify, batavia, Jerome Medical Center. 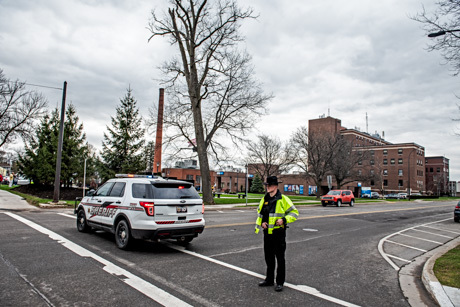 The Jerome Medical Center at Bank Street and Washington Avenue in the City of Batavia has been evacuated after an anonymous bomb threat was received there about 3:30 p.m. The facility provides urgent care, mammography, laboratory and pathology services. Law enforcement communications on the scanner have been encrypted -- scrambled. The threat is under investigation. UPDATE 4:29 p.m.: Bank Street between East Main Street and Washington Avenue is closed. The housing complex for seniors -- Jerome Senior Apartments -- has not been evacuated, but staff has been informed of the situation. UPDATE 4:46 p.m.: Additional streets have been cordoned off, establishing a perimeter for the preliminary investigation, said Batavia Police Officer Marc Lawrence. The other junctures closed off are: Alva Place and State Street; East Main and Summit streets; and Washington Avenue and Summit Street. Lawrence said the residents of Jerome Senior Apartments are to be evacuated; calls have been made to those in charge of the residential facility. UPDATE 5:01 p.m.: Department of Public Works barricades have been put in place at several locations where officers had been posted to close streets off from traffic. The county's Emergency Response Team is at the command post in the parking lot at Alva Place and Bank Street (the site of the summer Downtown Public Market). Two State Police K-9 units are on scene; so are city fire crews. UPDATE 5:28 p.m.: Officer Lawrence says the residents at Jerome Senior Apartments were told an hour ago to shelter in place. Reverse 9-1-1 calls were placed to people on Washington Avenue, Bank Street and Summit Street. 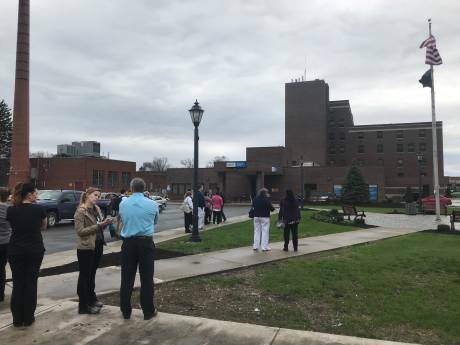 UPDATE 5:49 p.m.: Two State Police K-9 units went through the medical facility and exited the building a few minutes ago. UPDATE (By Howard): Photos added. Officer Marc Lawrence said the scene was cleared by the K-9s. Nothing suspicious was found and the urgent care would reopen. posted by Howard B. Owens in City Centre Mall, mall, batavia, news. 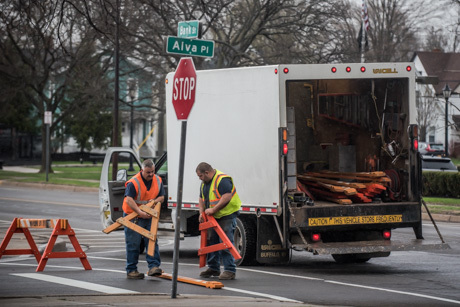 The City of Batavia is likely to reject all three bids it received for roof repair work on the City Centre Mall because they all came in over budget and Public Works Director Matt Worth thinks the city can do better by revising the bid specifications and attracting smaller contractors to the job. The City Council will be asked to reject the bids at its next business meeting after being briefed at Monday night's conference meeting. The work on the roof is part of the lawsuit settlement agreement with the Mall Merchants Association. The original bid specifications including not just replacing the flat roof area, but also removing and roofing over the skylights and reroofing the entryway silos. While it made sense at the time the bid package went out to include those features, Worth said, the heavy wind of winter storms have filled up the spring and early summer schedule of roofers in the region, especially those who do warranty work. That left fewer smaller contractors available to bid on a project with a larger scope. 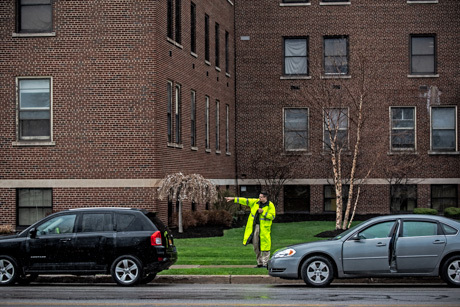 The largest contractors in Buffalo, Rochester, Syracuse submitted bids of $1.42 million, $1.67 million, and $2.25 million, which are all over budget. A new bid package will be released that makes replacement of the flat roof one project with minor repairs around the skylights and the skylights and silos will be bid out at a later date. posted by Howard B. Owens in Falleti Ice Arena, batavia, news. A second ice rink adjacent to Falleti Ice Arena might make Batavia a more attractive location for hockey tournaments but rather than just build it and see if they will come, the City Council is poised to approve hiring a consultant to do a feasibility study. The cost of the study is $55,000, with $50,000 covered by a Community Development Block Grant approved specifically for this purpose and $5,000 (the 10 percent match requirement of the grant) coming from private donations. Public Works Director Matt Worth said the study will look at whether a second rink really would be a draw and also whether the addition to Falleti should be a multi-purpose facility so it could be used for other sporting events such as indoor soccer in the winter. A feasibility study would balance the cost of the addition against the potential economic impact of an upgraded facility. Worth said the study should be completed by the end of the year. posted by Howard B. Owens in K-9, Batavia PD, batavia, news, notify. 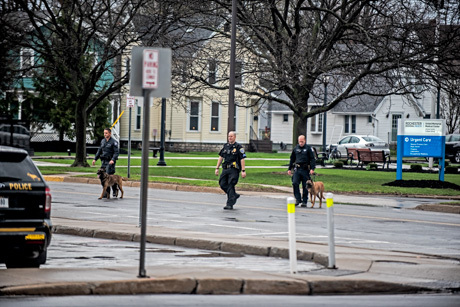 It's been about two decades since Batavia PD had a dog patrolling the city with a qualified handler but that could change if Federal asset forfeiture funds become available. Chief Shawn Heubusch is asking the City Council to approve a memo of understanding with Homeland Security for the federal agency to pay for the purchase and training of a K-9 and handler to work in the City of Batavia. 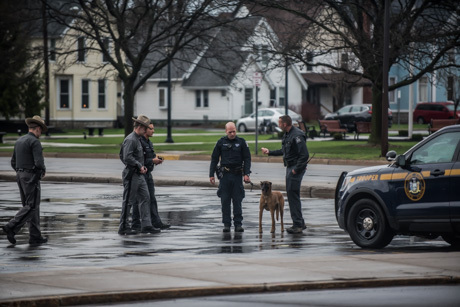 The new K-9 and its handler would be a member of the Batavia police force but on-call if Homeland Security needed K-9 officers for an operation. Once the MOU is signed, it becomes a waiting came for funds to become available. Currently, by executive order, President Donald Trump is diverting asset forfeiture funds to the construction of a wall along a portion of the Southern border. "This is just the very first step," Heubusch said. "This is not an imminent thing. We’re not going to have a K-9 next week. We’re not going to have a K-9 next month. This is something to get in line for the funding." Under the terms of the agreement, once the funds become available, Homeland Security to cover the estimated $15,000 in purchase and training costs. The city would be responsible for any other costs associated with a K-9, such as outfitting a patrol car, leashes, food, and veterinary care. Heubusch said he anticipates setting up a fund to receive donations from the community, much as the Sheriff's Office has done, to cover the additional K-9 costs. While the Sheriff's Office is soon to have two K-9s on duty, and the DEC and State Police have K-9s in the area that sometimes assists local law enforcement, a K-9 in the City of Batavia would greatly enhance the Batavia PDs capabilities, Heubusch said. "We have a great relationship with all of those agencies and they’ve all helped us out in the past but you’re talking about response time to get to a situation," Heubusch said. "So if there’s a child missing or if there’s an elderly person missing, that’s time that is ticking away." The last K-9 officer in the city was Ed Mileham, now retired, now a fire chief in Indian Falls. According to Heubusch, Mileham was taken off of K-9 duty when police unions across the state challenged the lack of overtime pay for K-9 handlers because the officers are often called upon to care for their animals while not officially on duty. Police departments across the state, Heubusch said, took their K-9s out of service at that point rather than pay overtime. If Batavia gets a new K-9, Heubusch told the council that Batavia will follow the example of the Sheriff's Office in providing handlers with time to care for their animals as part of their normal duty shifts. Mileham said he supports Batavia trying to bring back K-9 patrols and noted, as have other police officers over the years, that "bad guys don't like K-9s." "If you go to a scene and there’s a k-9 on scene, there’s a different demeanor from somebody you’re dealing with," Heubusch said. Batavia's K-9 will be a patrol dog -- not specifically a drug dog or a bomb dog but a general patrol dog. "It’s all about being able to provide the best service to the community that we possibly can," Heubusch said. "K-9s can be used in patrol interdiction, to get drugs off the street, they can be used in finding people, if you’ve got a lost loved one or somebody that wandered away, you can do tracking with them. If you look at, we respond to numerous burglary alarms in buildings. It takes two or three officers quite a while to clear a building. A K-9 can do it in a fraction of the time at a fraction of the risk." posted by Howard B. Owens in Batavia PD, batavia, news. 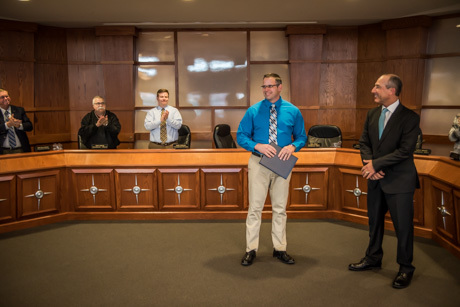 Retired police officer Frank Klimjack, who put in 21 1/2 years of service, was honored by the Batavia City Council on Monday night with a proclamation from the City. posted by Lisa Ace in Sponsored Post, advertisement, Genesee Symphony Orchestra, concert, Magic in Magic, music, batavia. posted by Howard B. Owens in GCC, College Village, GCEDC, news. The Genesee County Funding Corporation (GCFC) has approved tax-exempt bond financing for a $5.2 million project to upgrade and renovate residential facilities at College Village in the town of Batavia. Tax-exempt bond financing will assist projects by the Genesee Community College Foundation (GCC Foundation) Housing Services Inc. at five on-campus residential facilities owned and managed by the GCC Foundation. The renovations will include updated technology, renovating several suites into modern communal living and learning spaces, updated facilities and amenities, safety improvements and upgrades for disability access. The work will be performed at Birch Hall, Pine Hall, Beech Hall, Oak Hall, and Cedar Hall. About the Genesee County Funding Corporation (GCFC): GCFC’s mission is to assist local economic development efforts by serving in a conduit financing capacity enabling the issuance of taxable and non-taxable debt to benefit the growth, expansion, on-going operations and continued viability of non-profit business enterprises in Genesee County thereby helping to maintain a sustainable long-term economy. posted by Billie Owens in GC Youth Bureau, Family Game Night, batavia, news, Announcements. The Genesee County Youth Bureau will host the 16th annual Family Game Night in celebration of National County Government Month. The event will take place on Thursday, April 25th from 5:30-7:30 p.m. at County Building 2, 3837 W. Main Street Road, Batavia. The night will consist of interactive booths for families to learn more about the services provided by the county through the departments as well as prizes and activities. The cost is $5 for a family of four and $3 for an individual which includes a light dinner and beverages. Each family will take home one brand new board game after they visit each booth. Families also have the chance to enter to win free Muckdogs game tickets as well as free six-inch subs from Subway! Adults must be accompanied by a child to receive the board game. Please call the Youth Bureau for more information or to register at 344-3960. The Genesee County Youth Bureau would also like to thank Batavia Kiwanis Club, Batavia Muckdogs, Upstate Milk, Big Pauly’s Pizzeria, Batavia’s Original, Walmart, Settler’s Family Restaurant, Subway, and Tops Friendly Markets for making donations to this event. posted by Billie Owens in crime, news, notify, batavia, Le Roy, pembroke, bosom, Alabama. Matthew A. Oakes, 39, and Kailyn M. Oakes, 24, both of Boston State Road, Hamburg, are each charged with these misdemeanors: three counts of petit larceny; three counts of endangering the welfare of a child; and three count of sixth-degree conspiracy. Between 11:20 and 11:50 p.m. on April 6, 12 and 15, the subjects allegedly stole several cartons of cigarettes from the Two Eagles Smoke Shop on Bloomingdale Road in Basom. They allegedly had their small child with them on each occasion. The parents were arrested, issued appearance tickets and are due in Alabama Town Court on May 8. The case was investigated by Genesee County Sheriff's Deputy David Moore, assisted by Deputy Joshua Brabon, Sgt. John Baiocco, and NYS Police Officer Michael Machniak. Kayla Frances Twardowski, 29, of Spencer Court, Batavia, is charged with third-degree attempted grand larceny. Twardowski was arrested at 3 p.m. on April 16 after it was alleged that she allowed two fraudulent checks totaling more than $3,000 to be deposited into her bank account. She was issued appearance tickets and is due in Batavia City Court on May 7 to answer the charge. The case was handled by Genesee County Sheriff's Deputy Chad Minuto, assisted by Deputy Kyle Krzemien. Michael Scott VanBuren, 51, Wesley Drive, Akron, is charged with: driving while intoxicated; aggravated DWI -- operating a motor vehicle while having a BAC of .18 percent of higher; moving from lane unsafely; speed not reasonable and prudent. VanBuren was arrested at 5:55 p.m. on April 19 on Knapp Road in Pembroke following the investigation of a motor-vehicle accident. He was released on an appearance ticket and is due in Pembroke Town Court on May 14. The case was handled by Genesee County Sheriff's Deputy Mathew Clor. Gary Alfred Rynkowski, 50, of Thomas Avenue, Batavia, is charged with driving while intoxicated with a BAC of .18 percent or greater; DWI; open container; and inadequate plate lamp. On April 20, Rynkowski was arrested at 2:33 a.m. on West Main Street in Batavia following a traffic stop. He is due in Batavia City Court on May 15 to answer the charges. The case was handled by Genesee County Sheriff's Deputy James Stack, assisted by Deputy Erik Andre. Ar-Rahmaan M. Jones, 38, of East Avenue, Le Roy, is charged with driving while ability impaired by alcohol and having an open container of alcohol in a motor vehicle. Jones awas arrested at 10:29 p.m. on April 20 on East Main Street Road in Batavia. It is alleged that while a deputy was checking the welfare of a motorist parked roadside on Route 5 in the Town of Batavia, Jones was found behind the wheel of a vehicle with its motor running. At the time, Jones allegedly was under the influence of alcohol and had an open container of alcohol in the vehicle. He was released on an appearance ticket and is due in Town of Batavia Court on May 20. The case was handled by Genesee County Sheriff's Deputy Jeremy McClellan, assisted by Brabon Joshua. Jordan R. Rose, 18, of Maple Street, Batavia, is charged with second-degree criminal contempt. 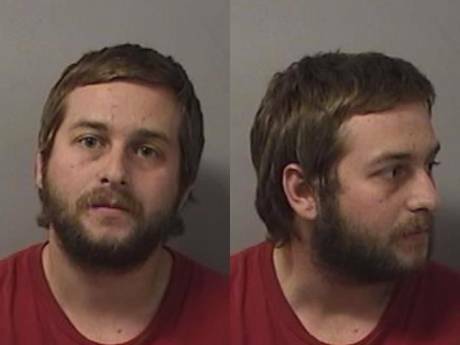 Rose was arrested after he was allegedly found to have been in the presence of two parties protected by a stay away order of protection at 4:30 p.m. on April 10 on Maple Street in Batavia. He was issued an appearance ticket and is due in Batavia City Court on Tuesday, April 23. The case was handled by Batavia Police Officer Stephen Cronmiller. Joshua David Capwell, 39, of West Main Street, Batavia, is charged with second-degree harassment and criminal mischief. Capwell was arrested following an investigation into a domestic dispute on West Main Street in Batavia at occurred at 11:45 p.m. on April 18. He was issued a computer-generated appearance ticket and is to be arraigned in Batavia City Court on Tuesday, April 23. The case was handled by Batavia Police Officer Peter Flanagan, assisted by Officer Arick Perkins. Heidi L. Harder, 43, of Montclair Avenue, Batavia, was arrested on a bench warrant following an unrelated incident. She was located at her residence and taken into custody with incident. After arraignment in Batavia City Court on April 16, she was jailed in lieu of $1,500 cash or bond. She is due to return to city court at a later date. The case was handled by Batavia Police Officer Miah Stevens, assisted by Marc Lawrence. posted by Billie Owens in accidents, news, alexander. An accident in which a pole is sheared in half with wires down, has prompted the closure of a portion of Route 98 in Alexander. A vehicle is on its side. National Grid has been notified, no ETA. Alexander Fire Police are asked to close southbound Route 98 at Dodgeson Road and northbound Route 98 at Cookson Road. A flatbed tow is called. posted by Billie Owens in county highway superintendent, NACE, news, Milestones. Genesee County Highway Superintendent Timothy Hens was installed as president of the National Association of County Engineers (NACE) at their recent annual meeting and technical conference In Wichita, Kan. His term will run through April of 2020. NACE is a nonprofit, nonpartisan professional association in its 63rd year, representing more than 2,400 county road officials and related professionals in the United States and Canada. In the U.S., local roads account for about 75 percent of highways and roads, or 2.93 million miles. Counties manage 1.74 million miles of those roads. Counties also own 231,000 bridges and operate one-third of the nation’s transit systems. Included, as part of the installation of officers, was a celebration of Genesee County’s longtime Principal Financial Clerk Laura Mullen who works for Hens. Mullen also worked for former Highway Superintendent Robert Carrier who also served as NACE President from 1964 to 1965. Mullen has been an employee with Genesee County since 1957. Hens, a 1993 graduate of the United States Air Force Academy, has served as Genesee County Highway Superintendent since 1998. 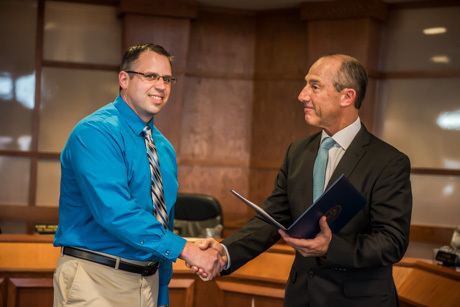 As superintendent he functions as the county engineer and oversees the operation and maintenance of all county-owned infrastructure and equipment, including roads, bridges, parks, facilities, airport and water system. posted by Billie Owens in GC Casa, news, casablanca casino night, charity, batavia. The seventh annuall Casablanca Casino Night Fundraiser benefitting Genesee County CASA for Children will be held Friday, May 31, at Terry Hills Banquet Facility in Batavia. All proceeds benefit absued and neglected children in Genesee County who are served by CASA -- Court Appointed Special Advocates. Dress code is business casual. Advanced tickets are $85 each and can be purchased online, through a CASA board member or the GC CASA office. Tickets will also be available at the door. Admission includes food stations, beer, wine and soda along with $500 in casino money and $10 in Free Play at Batavia Downs Casino. Registration begins at 6:30 p.m. and the CASA casino will be open from 7:30 to 10 p.m. Guests can try their luck at games such as Texas Hold 'em poker, blackjack, roulette and craps. Don't know how to play? No worries! The professional and experienced dealers of Upstate Vegas Events will be there at every table to guide and teach you. Exchange your "winnings" for raffle tickets and enter them for a chance to win an assoetment of valuable prizes. There will also be a silent auction, lottery tickets, and 50/50 raffle. 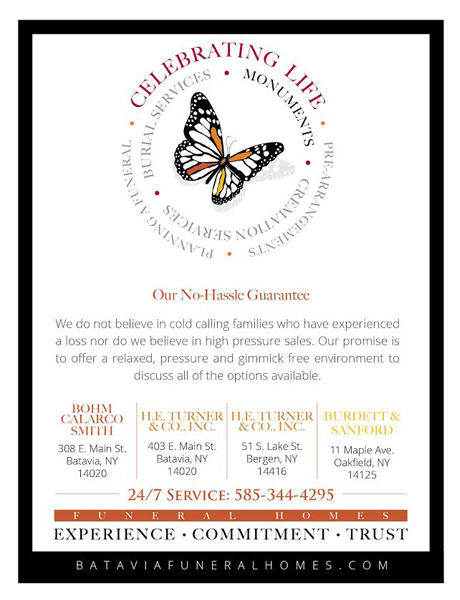 posted by Lisa Ace in Sponsored Post, advertisement, HE Tuner, Batavia Funeral Homes, Celebrate Life..
posted by Howard B. Owens in accident, news, batavia, thruway. As many as four cars may be involved in an accident on the Thruway in the westbound lane near mile marker 391. Multiple callers report from two to four vehicles involved. Town of Batavia Fire Department and Mercy EMS dispatched. UPDATE 11:01 p.m.: The westbound lane is being closed. All traffic must exit at Exit 48. UPDATE 11:04 p.m.: Liquid clean up is required. Both lanes are blocked. The scene commander said a vehicle will be moved shortly so at least one lane can be reopened. No word on injuries. UPDATE 11:19 p.m.: One patient will be transported. One westbound lane is now open. Tasks to include feeding, cleaning barns, spreading manure, basic machinery repair and maintenance and trucking of cattle. Abilities such as cow care, building repair, welding, a history of employee management and willingness to assume additional responsibilities will result in greater compensation. Must be able to provide references showing reliability and maturity and have a valid drivers licence. Primarily Mon-Fri hours. 40-50 hours per week. This position is never boring as you do a variety of things everyday. Housing available to qualified candidate. Completely updated half of a house, 3/4 bedroom, one and half baths, all new flooring (carpet / linoleum), new paint throughout, new windows, new bathrooms, etc. This apartment is an upstairs and downstairs available 5/1. It is Pathstone approved, no dogs, washer / dryer hookups installed, security deposit is required and good references. Rent is $850 plus utilities. Call 585-343-3755 for a showing. I'm looking for a dependable lpn or lpn's for family directed home care through Aurora Home Care. Day eight hour shift on Tuesday, Wednesday, Thurs. available for an easy-going incomplete quadriplegic.Saturday's open also. If interested please call: (585) 356--4098 $19.89 hr.